In the third Showmax Original, Skhumba visits the hometowns of some of our country’s finest stand-up comedians in a fun show that’s just as much about travel as it is about comedy. 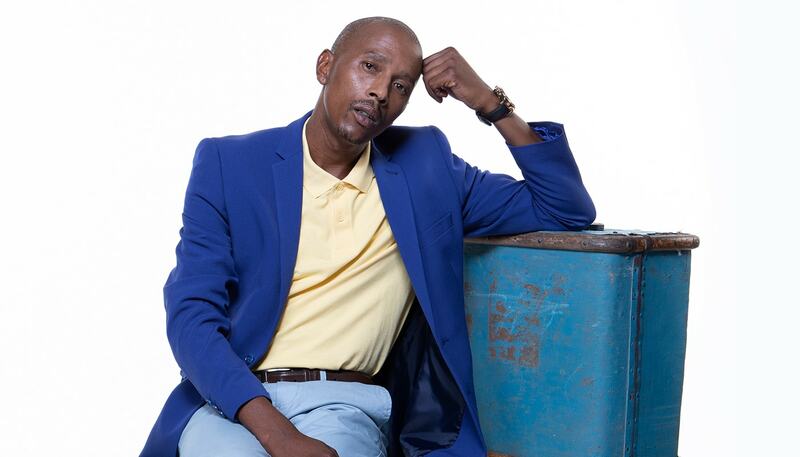 Salesman is one of his featured comedians, and here Botsisa lets us in on what we can expect from the episode that’s all about him and his hometown. Salesman wa Motokwa, also known as Botsisa, is from Pretoria. No topics are off limits – even his own stint in a wheelchair after an accident. He has shared the stage with some of the heavyweights in South African comedy, including Skhumba and has been nominated in the South African Comics Choice Awards. You’ll probably recognise his trademark “Botjisa”, which is featured on Metro FM as a voice clip. I’m from Ga-Rankuwa in Northern Pretoria. I’m going to show Skhumba my home, take him to meet my family, take him around my hood. Trippin with Skhumba is a long-awaited thing. For people to see what we [comedians] go through; they see the end-product, not the struggle. It will be inspiring to people who look up to us, to see that it can be done. I started here, just like anyone before. It’s all about persistence and doing what you love. Did you always know that you wanted to be in comedy? Yeah, it’s like an orientation. It’s like: “We first start here before we go there, because sometimes [performing at certain venues] puts you under pressure, especially in the beginning. You start with a 10-minute gig and take it from there. I have three sisters and a brother, and I’m the last-born. You know, my vernac name is Ditshego, which means “laughter”. I was born when my parents were too old to have more children. They said, “This child will be the laughter in the house” and guess what I’m doing to make a living now? [laughs] I think my mom will be excited. Our material comes from our experiences. It’ll be interesting for people to see the source of the material that I share on stage, to see where I come from. More especially, those who came before us did a huge job in paving the way for comedy to be seen as a profession. It’s our responsibility now; it’s no longer just about making people laugh, it’s about adding value to people’s lives. To motivate and encourage people to do good. To me, motivational speakers look too nice to talk to someone who is living in an RDP house. They don’t look like they understand the day to day life. But comedians can talk to people in a way that people listen. Comedy has an impact.